The most professional ready fighter in the tournament to me was Danyelle Wolf, who seems destined to have a good run in mixed martial arts as her team in San Diego, California is one of the elite team in the country, being Alliance MMA. Wolf was composed, fought well at distance mixing up her jab with subtle fights and was able to turn her opponents seemingly at will. Wolf just seemed to be a different tier than those who she fought. 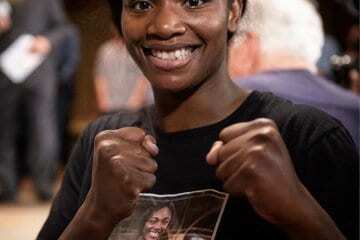 One of the brightest prospects in American boxing is “Right Hook Roxy” a/k/a Iyana Verduzco, a boxing prodigy destined for stardom, or so it seems. 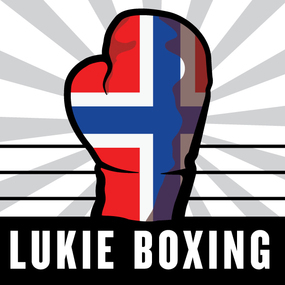 Verduzco has a power advantage that is uncommon for both her weight and women’s boxing and also uses basic fundamentals to create a massive advantage over opponents. The best case scenerio for her career is a female Gennady Golvokin. 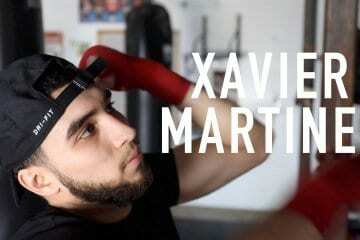 The only flaw I see is that Verduzco gets hit clean at times which could be troubling in a professional fight. Jill Stafford had the misfortune of facing probably the most professional ready fighter in the whole tournament in the finals in Danyelle Wolf, but Stafford has good distance and a willingness to fight on the inside as opposed to look to hold. I view Stafford as a tremendous prospect, who is a work in progress and learning on the job, but doing extremely well with the tools she has. Jazzelle Bobadilla showed off a good use of distance and great straight punches when countering her opponents. She struggled in the finals against Mariana Gonzalez, who was far too physical on the inside for Bobadilla, but in spots, Bobadilla was very impressive, and young fighter to watch for. Lupe Gutierrez is one of the most talented fighters in the tournament, but has yet to fully hit her stride. At times Gutierrez will be first and dominate the action, but she also has a habit of switching stances a lot, showboating and being very inactive at times. Not unlike life itself, Gutierrez will have to grow in the process to reach her full potential, which she is totally capable of doing. Gutierrez at her best is a boxer-puncher who can hurt opponents going backwards as she did in her semi-final bout giving her opponent a standing eight-count. ANTHONY HERRERA – 114 LBS. 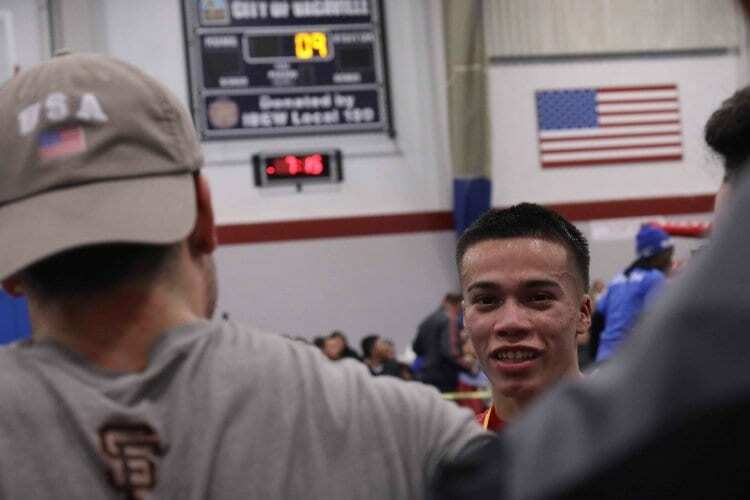 Though turning pro could be a tough test for the young fighter who trains out of Legendz Boxing Gym in Norwalk, Ca, based on his division, Herrera put together one of the more impressive runs in the tournament. Herrera fought from Monday until Saturday having to earn his way to finals and then ended up winning the tournament at large. Herrera has a good balance using distance to keep straight punches coming forward at his opponent as well as the come forward aggressive style that many have stereotyped Los Angeles, California based fighters to have. Herrera is a fighter with a lot of dimensions and also showed his toughness fighting so often. Montano didn’t win his tournament losing in the finals to Japhethlee Llamido in 125 lbs division, Montano of nearby Concord, Ca impressed me with his rugged fighting style. Montano has a style similar to Shawn Porter or Charles Conwell in which he is very physical and aggressive. Llamido offered problems as he was a fighter who fought long and awkward with a style that looked like a hybrid between boxing and point fighting karate. Montano has a pro-style and a high work rate, as he can go at the same place for all three rounds, something that you don’t see all the time in amateur boxing. Montano is a fighter, who possibly could qualify for the Olympics, but the very least can create a durable, tough professional fighter who will not be a easy night for anyone. In the most talent-rich division, 138 lbs., of the tournament, Charlie Sheehy of Brisbane, California came away the tournament winner. Sheehy may have had the best jab of the tournament and offered tremendous head movement to avoid most of the heavy punches from tournament favorite Harley Mederos. Sheehy is a verastile fighter who has fast feet, the ability to think while he is in the ring rather than just throw punches as well as good lateral movement that was on display all week. 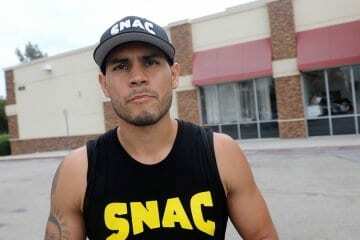 The most pro-ready of any fighter in the tournament was New York City, New York’ Harley Mederos. Mederos hits hard, and has great fundamentals involving gauging distance mixed in with his tremendous power. Mederos’ only flaw is when he lands his opponents feel the power they don’t like it, and at moments in some of his fights, Mederos will look to land power shots only as opposed to staying active to set-up a big punch. Mederos should be pro quickly and has an entertaining fan-friendly style. Joseph Macedo lost a close decision to miss out on the finals, but the Las Vegas, Nevada fighter showed up in a big way this tournament having to show toughness against Giovanni Marquez, who kept him on the ropes as well as showing fast feet and hands against opponents in later rounds. Macedo, who I believe has less than 50 amateur fights seems as though he is leveling up and becoming an interesting contender in the division. Jordan Jenkins was eliminated earlier in the week, but showed good foot work as well as solid fundamentals, it just appeared he was a little too young to dominate at the highest level against older opponents. Jenkins and his brother, Joshua are solid fighters out of the Dallas/Fort Worth, Texas area. 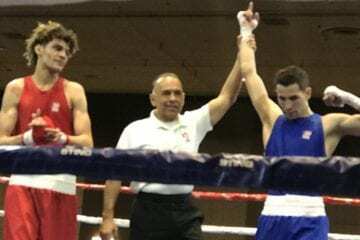 152 lbs champion Victor Aranda of El Paso, Texas, lived up to his high ranking winning his tournament in dominant fashion. The power puncher has a good overall selection of punches and goes to the body well for an amateur. 178 lbs. 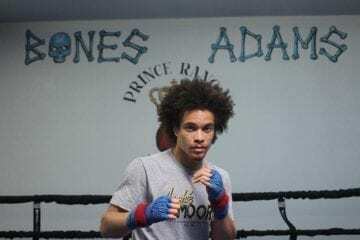 champion Adrian Tillman from Colorado Springs, Colorado, fights like a seasoned veteran at only 24-year of age, Tillman is in the lineage of Jamel Herring as he is seeking an Olympic bid while serving the country in the Army [NOTE: Herring was a marine]. Tillman is composed and strong, but doesn’t use strength outright to win fights. Tillman is an elite level fighter, who is thinking in the ring, but you can tell might have had to make up for borrowed time as he fights a bit like a late-starter to sport of boxing. Tillman is one of the more impressive fighters and has professional boxer body already.